Maria Bragança belongs to the successful generation of Brazilian musicians who play contemporary music. She was born in Itabira, Minas Gerais State, Brazil and studied music both in Brazil and in Germany. Her exclusive personal style is a perfect mixture of Brazilian jazz and Brazilian traditional folk songs, with elements of classical and contemporary music. Maria Bragança divides her time between Germany and Brazil. She began her studies in Belo Horizonte, Minas Gerais in 1978 and played in the Youth Symphonic Orchestra of the City of São Paulo. There, she furthered her education at the music school, later she graduated as concert saxophonist at the Music Academy Robert Schumann in Dusseldorf. 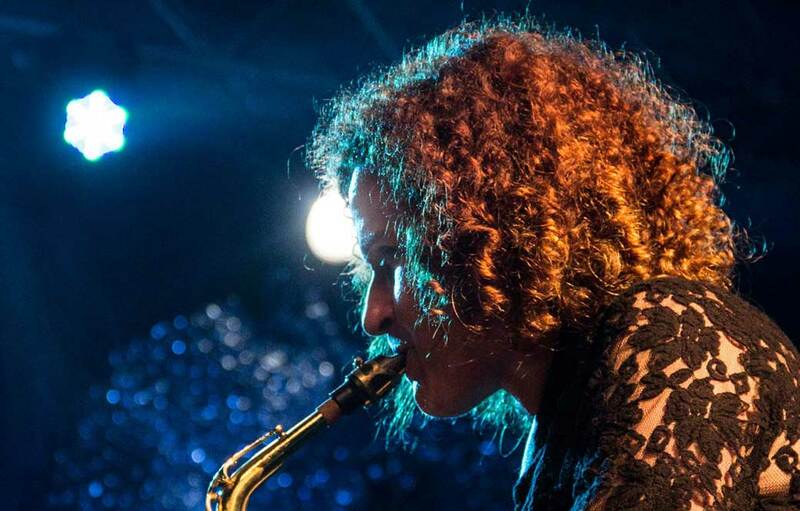 Through seminars with famous musicians like Paulo Moura (Brazil), David Liebman (Koln), Jean Marie Londeaux (Bordeaux), Ivan Roth (Switzerland), Arno Bomkamp (Amsterdam), she refined her sound and musical expression. She played in concerts with Roberto Szidon in Switzerland and Germany as well as with Djalma Corrêa in the Concerto Naturalis in Brazil. In the dance concert “Out of the Cool” she performed with dancer Sonie Mota in Cologne, Bonn and Dusseldorf. With guitarist Luiz Nonata she was guest performer in the SESC Pompei Cultural Center in São Paulo and with the Maria Braganca Quartet at the International Theatre in Frankfurt. Maria Bragança also played at the Akademie Brasil-Europa in Cologne at the event “Brasil 2001 ..: dealing with the baroque as a requirement for science and practice in Brazil,” and at the Winter Music Festival in Brazil.